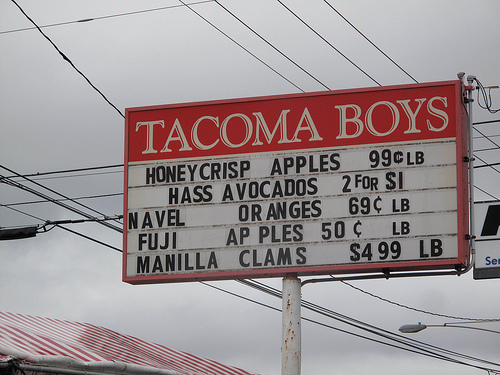 The city of Tacoma is blessed to have Tacoma Boys as our homegrown produce stand and meat market. I have never been disappointed with anything I’ve purchased there and its one of the few places that when they tell me my total bill, I feel like I’ve gotten a good value. The Center for Disease Control says “Almost Everyone Needs to Eat More Fruits and Vegetables”. 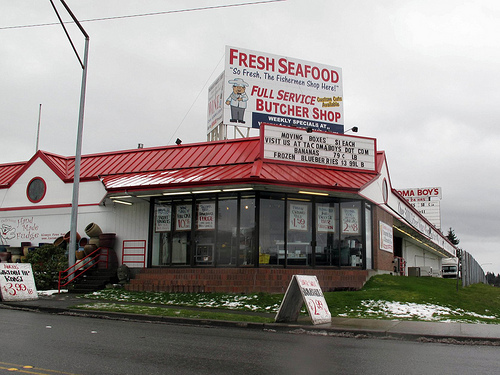 By going to Tacoma Boys and buying fresh produce, often in season and local grown I am making the CDC happy and supporting my community. It makes me smile! 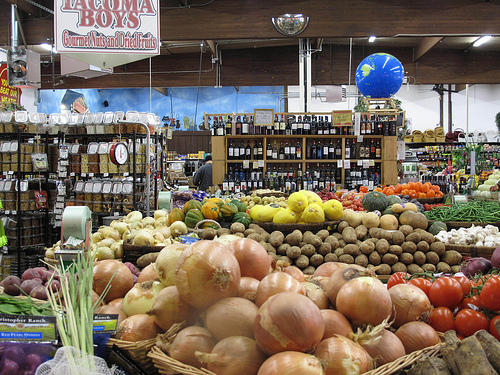 This entry was posted in Tacoma, Unique Shopping (stores with some personality), WA State - Pierce County and tagged Center for Disease Control, fruit, grocery, health, produce, Tacoma, value, vegetables, veggies on February 27, 2011 by admin.